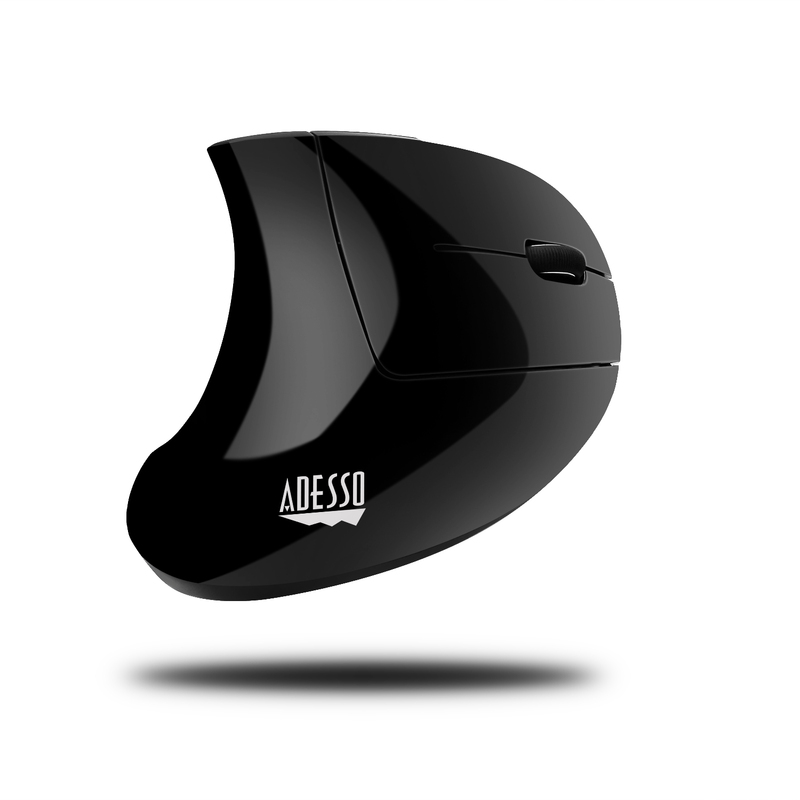 With 2.4 GHz Radio Frequency technology, the Adesso iMouse E10 Wireless Vertical Ergonomic Mouse provides you with wireless convenience and the freedom of a smooth connection for up to a 30-foot range without tangled cables. 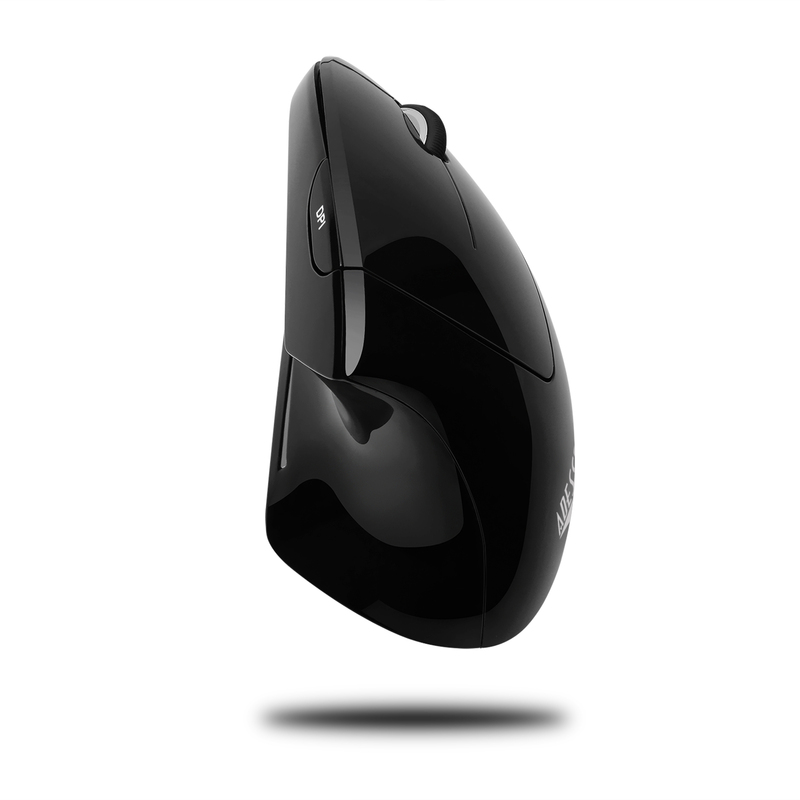 This ergonomic mouse is designed with a vertical orientation and a contoured shape that provides a uniquely comfortable user experience. 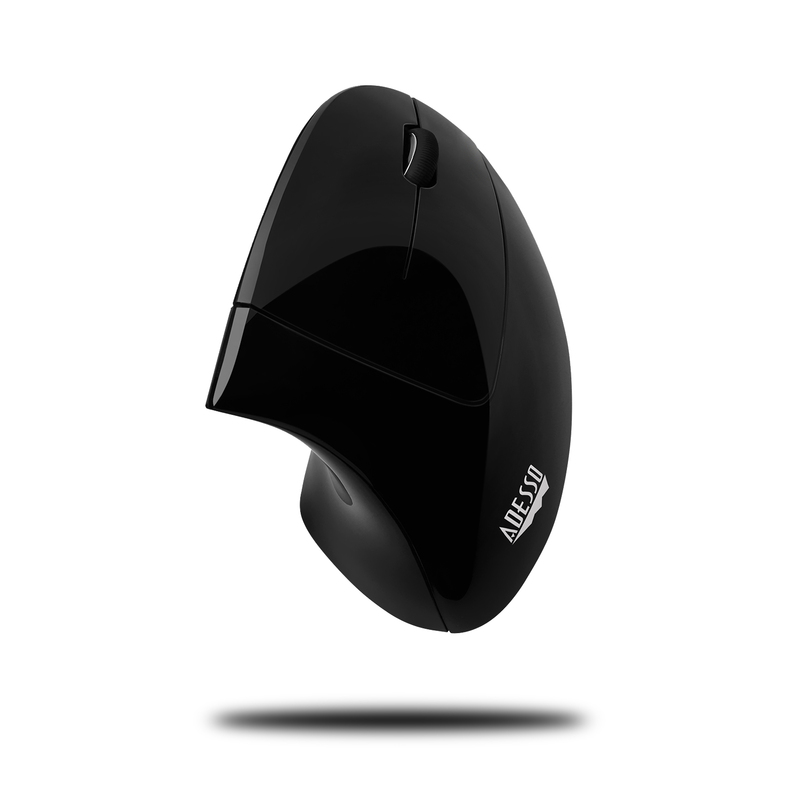 With this wrist-friendly contour support, you will hold your hand in a healthy “handshake position” which is the neutral position of your forearm as opposed to the “twisted forearm” position as with a regular mouse. 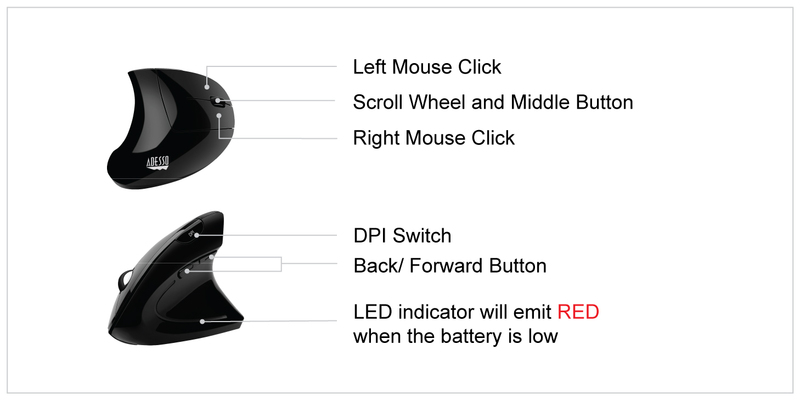 Two internet buttons are conveniently located on the side of the mouse for Back and Forward page browsing. 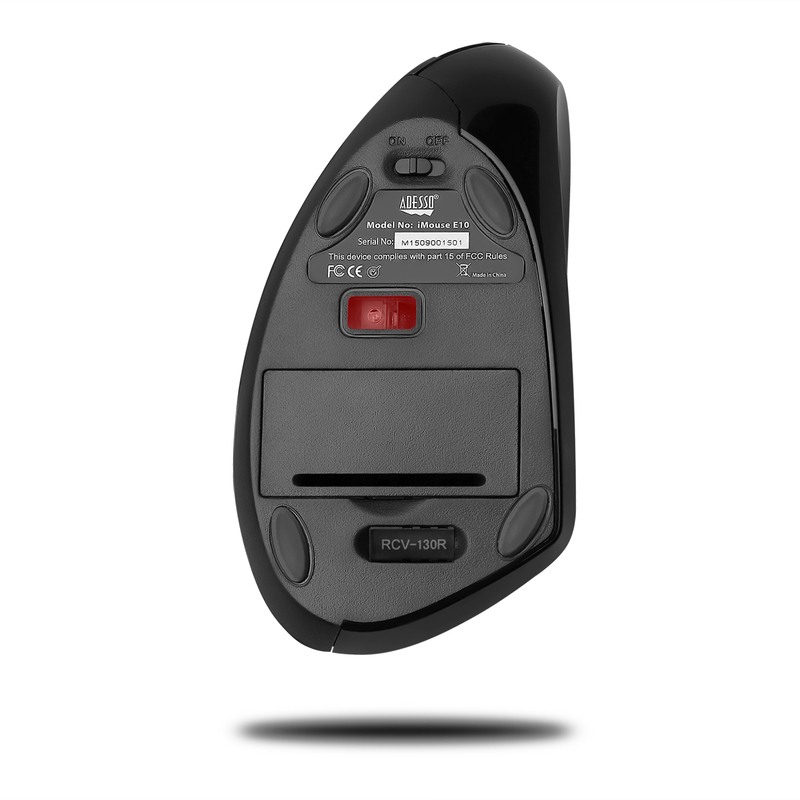 The 800/1200/1600 switchable DPI button on the top provides three levels of mouse cursor speed that is useful in different environments. 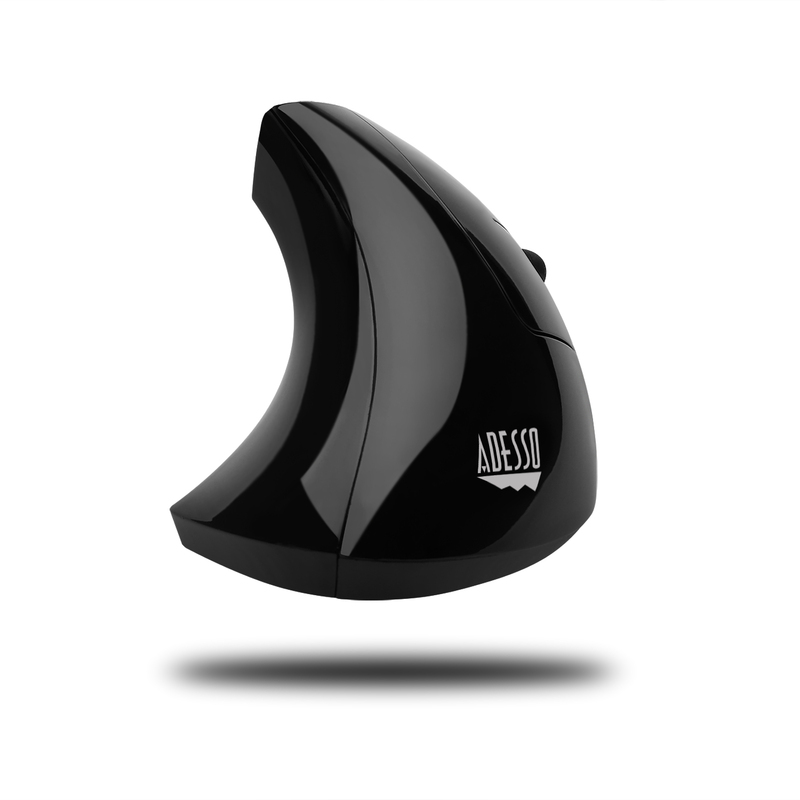 The advanced Optical Sensor technology keeps the mouse precisely on point and lets you work on most glass, wood, marble, and leather surfaces without a need of a mouse pad. 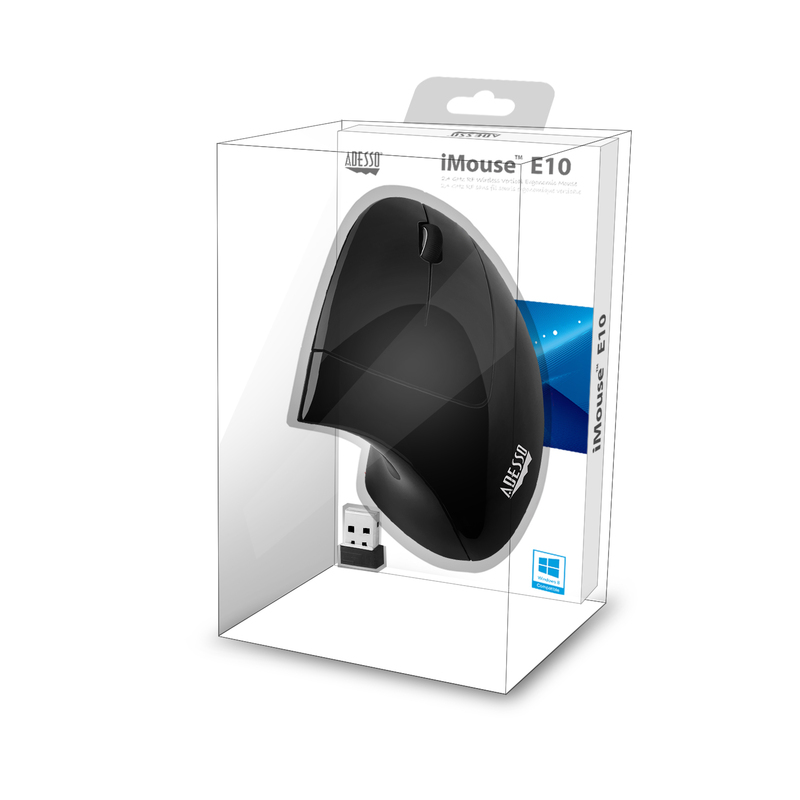 Finally, the iMouse E10 is Plug and Play and requires no drivers. 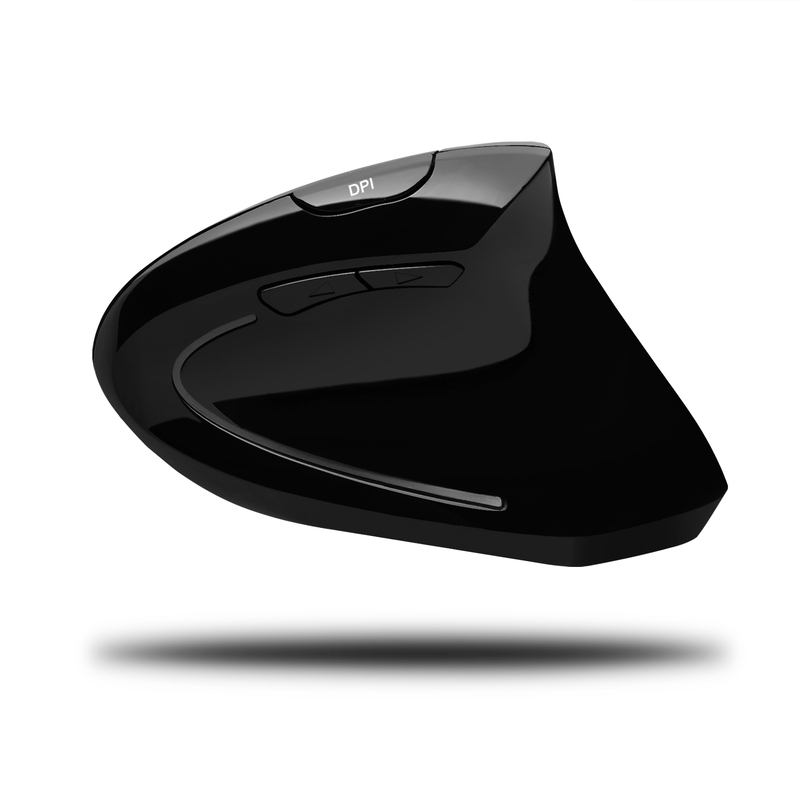 Simply plug the USB Receiver into any available USB port and be ready to enjoy the freedom of a comfortable and wireless mouse experience! 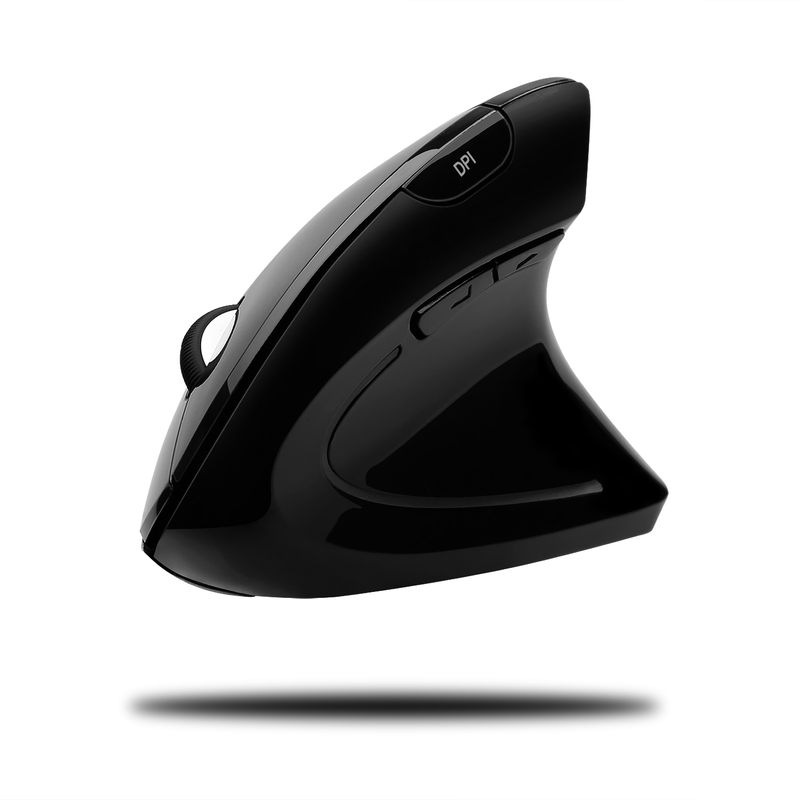 Switch DPI easily from 800, 1200 to 1600, and access to back/forward navigation shortcut without driver. Simply plug the mini USB receiver into a USB port and you will be up and running. No drivers required, works with Windows or Mac OS.